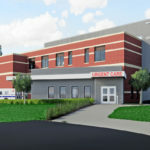 This two-story addition to the 1950-vintage hospital will house an Urgent Care Center on its lower level serving area veterans as their location of choice for immediate care. The addition connects with the Imaging Department in the original building, allowing veterans to easily access various imaging modalities. 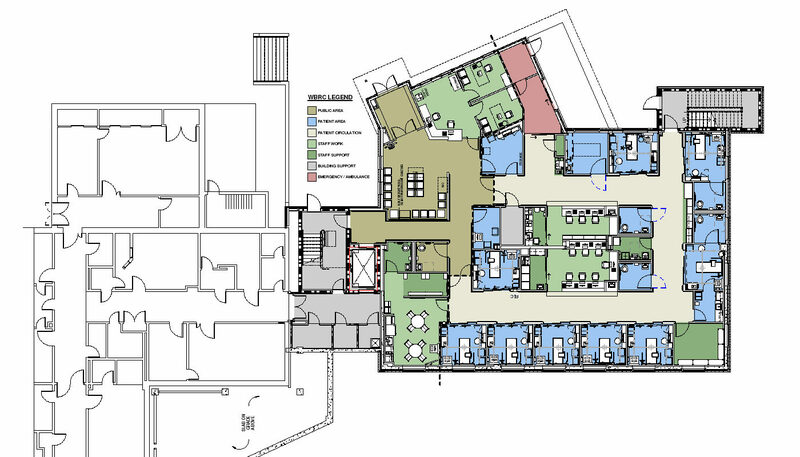 The upper level includes individual and group counseling components of Behavioral Health. The initially-proposed site for VA Manchester Clinical Services addition was on the opposite side of the hospital. 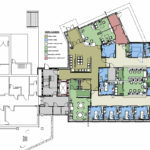 After programming efforts indicated a mismatch with access to existing complementary functions in the main hospital, WBRC provided a master plan that better positioned the clinical services building on site. This resulted in a keen knowledge of the campus and its operations. Considerable site work was required to integrate this vital asset on campus while correctly positioning it for the future of VAMC Manchester. 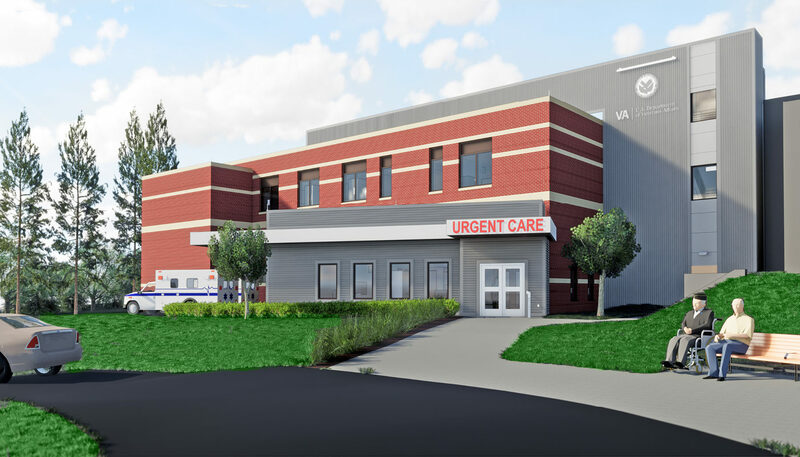 The addition accommodates a large ambulance entrance along with a convenient drop off drive for private vehicles. Besides encountering granite ledge beneath the building footprint, the challenge of providing VA-required blast protection and security made the planning of this project more complex than most.